It is a divine experience every time I donate blood. 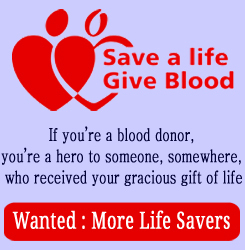 It feels as if you are giving life to someone, in fact you save 3 lives with one donation. It is just a matter of one prick and a few minutes of your time. I feel healthy and energetic after donating blood and always look forward for the next date when I can donate blood again. 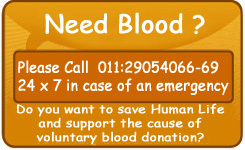 I had a lot of misconceptions about donating blood until I came in contact with Rotary Blood Bank. I realized the importance of donating blood and have been a regular donor since 2002.